Continuing our weekend of Zelda, the Legend of Zelda series is known for its impressive world design, endearing characters, epic stories, great secrets, and enjoyable to use items. One piece of the series that every Zelda game possesses is that of dungeons, the places where Link enters to solve puzzles, obtain keys, and face bosses in order to progress the story. 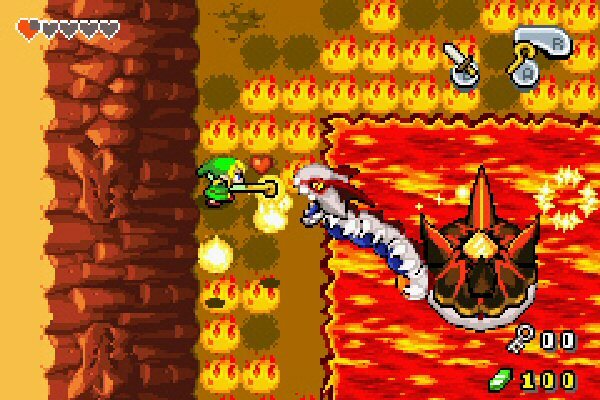 There are over a hundred dungeons across over a dozen Legend of Zelda games to choose from, so it was no easy task to come up with a list of my personal favorites. After you've taken a glance at and read mine picks, I'd love to read your own choices. Maybe with this list we can make each other appreciate dungeons that we might not have thought much about before! 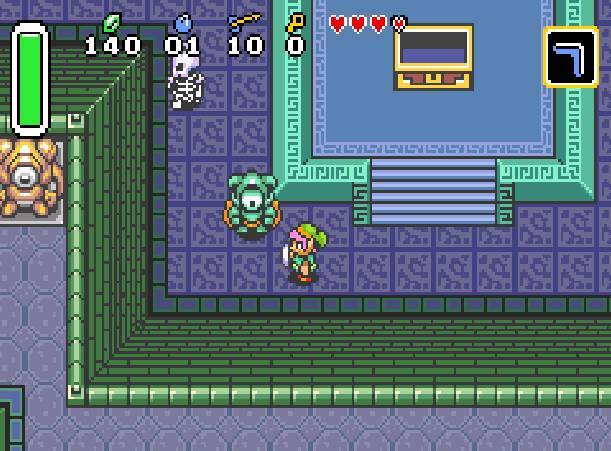 We kick off this countdown of the best dungeons from The Legend of Zelda series with the eighth dungeon from The Legend of Zelda: Oracle of Seasons, the Sword & Shield Dungeon or Maze, if you're in the Americas like I am. The dungeon has two massive floors, one shaped like a sword and the other shaped like a shield, hence the name. The top floor is made up of ice while the bottom is devised of lava. A big puzzle has Link throwing ice crystals down from the top floor to the bottom floor to create patches of hardened lava that can be crossed to progress in the dungeon. A memorable dungeon full of hot and cold peril, the Sword & Shield Maze is my number ten choice. 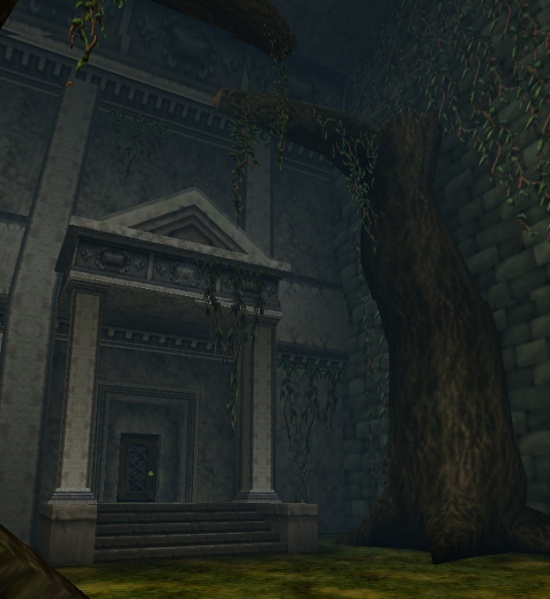 Some of the best dungeons in a 3D Zelda happen to be from The Legend of Zelda: Twilight Princess, so it was mighty difficult choosing just one dungeon to represent the game on this list. Thus, I cheated and picked two. Regardless, the Goron Mines is the second dungeon in the game, and it's nestled just beyond the Goron hall in Death Mountain. Lava bursts out from every seam, giving Link an unwanted sensation if he dares touches it. A lot of machinery works on its own, allowing Link to take advantage of it to move through the dungeon. A component to this dungeon is utilizing the Iron Boots to walk across magnetic floors, walls, and ceilings to proceed through it. The Goron Mines is home to a collection of Gorons that will give Link a portion of the dungeon's Big Key that leads to the boss, Fyrus, otherwise known as Darbus before evil took him over and changed his form. I like the Goron Mines because not only does it have clever puzzles, indoor and outdoor sections, fun mini and major bosses, but it grants Link with one of my favorite traditional items in Zelda games, the Bow and Arrow. One of the final dungeons that Link must fight through in The Legend of Zelda: Minish Cap, the Palace of Winds is a dungeon set high above the clouds, requiring Link to utilizing Roc's Cape to make accurate jumps and fly across gaps or else fall into the myriad pits surrounding the platforms of the palace. It's not as easy as jumping and guiding Link to the platform of his choosing. There are fans that look to push Link into said pits, but not all of the dungeon's obstacles are bad. Cloud platforms bounce Link up the various floors of the palace, eventually leading Link to a one-on-two boss battle against a pair of Gyorgs where he must ride on the backs of the foes to survive. The Palace of Winds is a sky high dungeon that turns the traditional dungeon idea on its head, making it my number eight choice. The seventh dungeon in Link's journey through the Dark World in The Legend of Zelda: A Link to the Past, it is home to a myriad of challenges and obstacles that our green clad hero must overcome. From pipes that lead Link to different portions of the dungeon to eyes that launch lasers whenever Link is in their paths (these can only be reflected with the dungeon's treasure, the Mirror Shield), to platforms that travel along trails whose directions Link can influence, Turtle Rock is an incredibly challenging dungeon that requires him to have plenty of Blue and Green Potions in hand, as a lot of magic is required to get through the dungeon. I like this version of Turtle Rock best as it features both outdoor and indoor potions, is pretty difficult, and features plenty of puzzles and obstacles that require a great deal of thinking and finesse to overcome. One of the penultimate dungeons in The Legend of Zelda: Link's Awakening, Eagle's Tower sits tall at the northeastern corner of the map. This multi-floor tower has many pits that allow Link to fall down to lower floors. What makes this dungeon so loved by me is the immensely clever puzzle that spans the second, third, and fourth floors. Through picking up an iron ball and throwing it into four pillars, Link destroys the pillars, thus causing the top floor of the dungeon to collapse downward, making itself to become part of the third floor. This grants Link access to new areas of Eagle's Tower, including the boss's chamber, the top of the tower, where Link faces an eagle boss in a 2D scuffle. While the other dungeons in Link's Awakening are smartly designed in their own ways, nothing beats Eagle's Tower for cleverness. My number five favorite dungeon from The Legend of Zelda series comes from Twilight Princess, which recently saw a remastering on the Wii U. It's a dungeon that doesn't really feel like a dungeon, Snowpeak Ruins, which is a derelict snow-covered mansion that has been infested with monsters. The main progression here comes from fetching ingredients for a female Yeti from marked treasure chests sprinkled around the dungeon. Upon finding the last treasure, opening it up reveals the Bedroom Key, opening a chamber at the top of the tower in the courtyard where the boss is battled. The treasure is the Ball and Chain, a weapon that can replace some required uses of bombs, as well as being able to be used to smash through ice cold rock. This allows Link to reach new portions of the mansion, where he must bring iron balls and place them into cannons to destroy obstructions that his Ball and Chain can reach. The Snowpeak Ruins is a fun dungeon to me because of how different it is compared to other dungeons in the series, initially not even feeling like a dungeon at all. Taking the conventions of Zelda dungeons and turning them on their collective head, Thieves' Town is the fourth Dark World dungeon Link must investigate to find the maiden trapped inside. 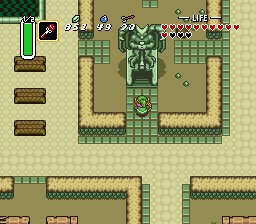 It is located in the gargoyle statue in the middle of the Thieves' Town. The dungeon starts off with four large labyrinth rooms with a series of platforms on top and a floor on the bottom. Through successfully maneuvering through these rooms, Link can find the Big Key to progress. 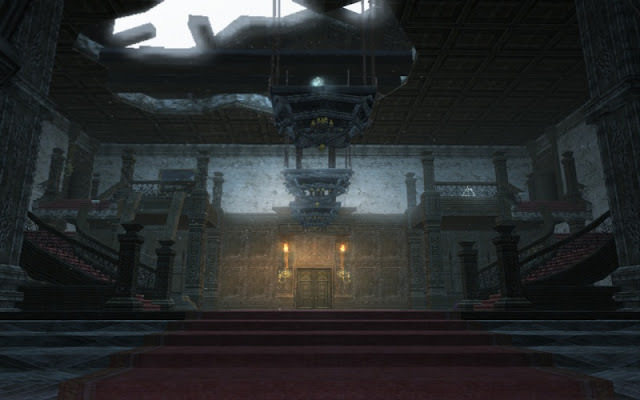 Upon reaching the boss's chamber which is down the following hallway, he finds it empty. Link must venture through the basement of the dungeon to not only find the dungeon's treasure, the Titan's Mitt, but he must also locate the supposed maiden in one of the cell blocks. She asks Link to take her outside, but doing so will make her disappear back to the spot where Link found her. Instead, through bombing a hole on the top floor of the dungeon and taking the maiden to the room (the then-empty boss room) underneath, where a newly found beam of light shines in, the maiden will step into the light, revealing herself to be an impostor, the boss of the dungeon, the thief Blind. This is such a smart retooling and take of the familiar dungeon formula that makes it my favorite dungeon in any 2D Zelda. My favorite of the four main dungeons within The Legend of Zelda: Majora's Mask, the Stone Tower Temple is an ancient temple which requires Link to use all of his skills and abilities he's learned and gained over the duration of his adventure to overcome the myriad challenges the temple offers. This means not only is Link by himself needed obviously, but also his Deku Scrub, Goron, and Zora mask transformations are required to complete this dungeon. The temple treasure is the Light Arrows, and these tie into the main gimmick of the dungeon. Before receiving this item, the temple goes along innocently enough with some very cool trials and puzzles to pass. 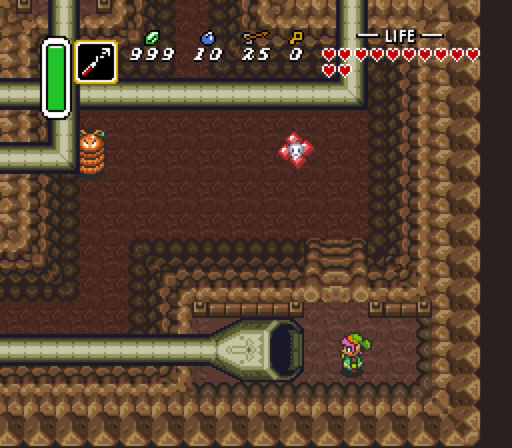 However, upon using a Light Arrow on a specific object, the entire dungeon flips upside down. What was once the ceiling is now the floor, and what was once the sky is now a bottomless pit. Through strategically flipping the temple on its head and vice versa. Link proceeds through the Stone Tower Temple until he reaches the end, where a colossal boss battle awaits. The Ancient Cistern dungeon from The Legend of Zelda: Skyward Sword might seem to be water-centric at first glance of the dungeon. 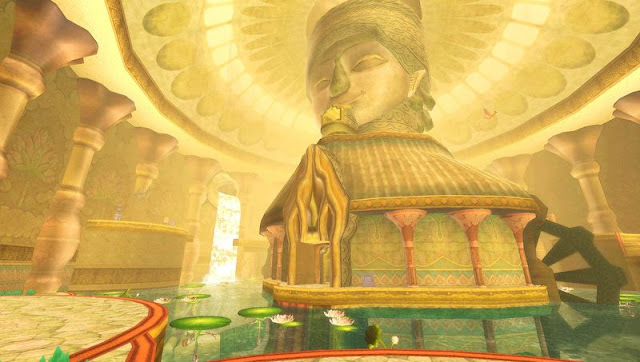 After all, the main chamber is a giant statue surrounding by a pool of water and lilypads. However, the main theme of the Ancient Cistern is actually a heaven and hell type scenario. The top half of the dungeon is bright, filled with luminous light and a colorful palette, but the bottom half is where poison flows through the water, Cursed Bokoblins roam, and a foreboding underworld dwells. There's even a section underground where Link pulls himself up to the surface on a lone rope while a series of Bokoblins climb up after him, attempting to pull him back down to their level. The Ancient Cistern's treasure is the Whip, used to latch onto things, crossing chasms, activating switches, and flipping the aforementioned lilypads. It's also used in one of my favorite boss battles in The Legend of Zelda series, the fight against the gold golem Koloktos. When Adult Link enters this first dungeon as his grown up self, you know things are getting serious. The Forest Temple is a large, sprawling, creepy and unsettling place with plenty of block pushing puzzles, a hunt for four Poe ghosts that will light four torches that allow Link to continue in the dungeon, and various awesome perils to worry about. Vegetation is home to a good portion of the dungeon, and memorable locations like the twisted hallway (which way is up? ), the checkerboard room where the ceiling threatens to crush Link, and much more make for a temple that I adore. Once again, the treasure given to Link in this temple is the Bow and Arrows, a traditional item, but a lovely one all the same. The boss battle against Phantom Ganon also makes this temple one of my favorites from Ocarina of Time. My brain fought hard between choosing the Forest Temple and the penultimate dungeon, the Spirit Temple, but alas, the first dungeon that Adult Link must journey through won out overall. The Legend of Zelda franchise celebrates its 30th anniversary this year, and it has already seen the release of The Legend of Zelda: Twilight Princess HD on Wii U (which I'll be reviewing this weekend), will see the release of Hyrule Warriors Legends on the Nintendo 3DS, and we eagerly anticipate the release of the brand-new Legend of Zelda due out on the Wii U and perhaps the NX later this year. Continuing this Zelda-themed weekend, let's get simple here. The Legend of Zelda is one of my favorite franchises of all time, and the series has seen a myriad of releases throughout its 30 year lifespan. This top ten list counts down the best of the best when it comes to the adventures involving Link, Zelda, Ganon, the Triforce, the Master Sword, and any other of the profusion of iconic Zelda imagery the series is known for. Even when I consider it to be my least favorite 3D Zelda, The Legend of Zelda: The Wind Waker still surpasses a great deal of its competition out there. 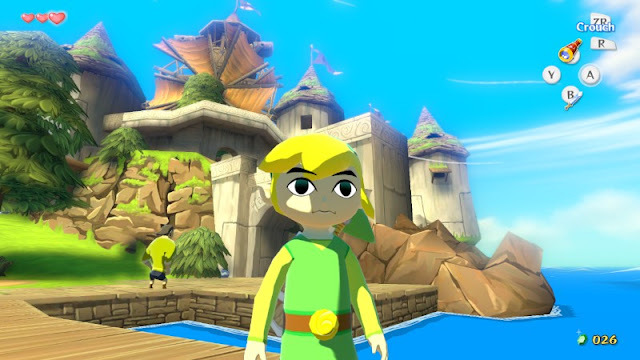 The Wind Waker is one of the most charming Zelda games out there, having Link at his most animated with his immense amount of facial animations. Sailing the land of Hyrule was great fun, even if the process was slow. However, the HD remaster on the Wii U solved this problem with the Speed Sail, allowing for faster sea travel. The dreaded Triforce quest was also updated to be less tedious. 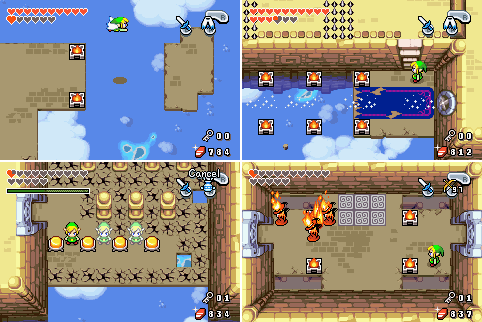 Still, The Wind Waker suffered from having only five main dungeons, and the majority of these don't do much to impress. Capcom worked on this portable Zelda, one that is often overlooked with most Zelda fans. That's a shame as The Legend of Zelda: The Minish Cap has so much to offer, whether it's the amazing shrinking mechanic that gives Link a new perspective on the land of Hyrule, the impressive six dungeons that Link must overcome, the tremendous boss battles, the fine collection of items, and the enjoyable Kinstone quest used to make bonds with various NPCs in Hyrule. All of this was coated with a beautiful sprite-based 2D art style that really delivered a sight to behold visual-wise. Plus, it was nice having a main villain that wasn't related to Ganon this time around. 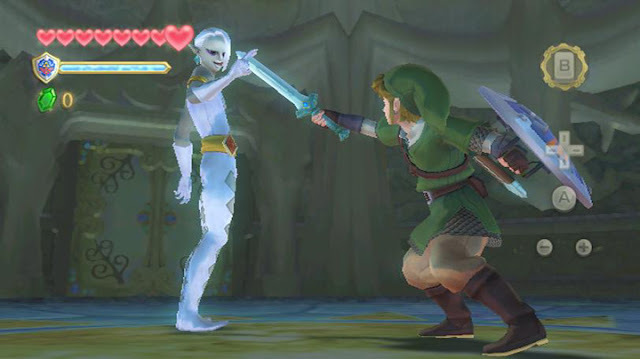 A game that is hotly contested within the Zelda fanbase, The Legend of Zelda: Skyward Sword, for me, possessed the best combat the series has yet to know. 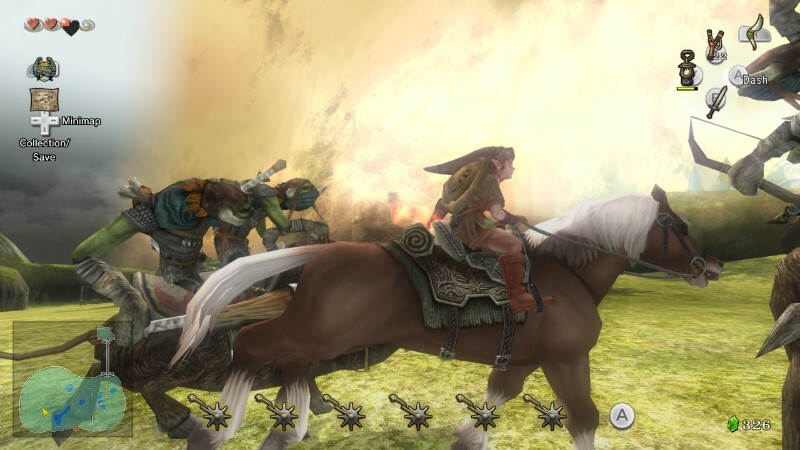 The motion controls worked next to flawlessly, aiding in adding some complexity to battle. Depending on the foe, you'd have to use a certain direction of slash to deal damage. The new items like the Whip and Beetle had some very clever and ingenious uses, and old standbys like the Bow and Arrow and Bombs felt fresher than even due to the motion controls. However, cool the motion controls, items, and bosses were, Skyward Sword suffered from severe pacing issues that stop it from being truly amazing. Oh heck, it IS amazing, but not as amazing as it could have been if some of the needless fat had been trimmed from the game. Recently given a remaster on the Wii U (and will be reviewed later this weekend), The Legend of Zelda: Twilight Princess definitely admittedly starts off slow with an extended tutorial and amount of exposition. If you're one who wants all dungeons, all the time, then Twilight Princess probably isn't right for you. It does take a while for the game to get into its groove, but once it does, Twilight Princess makes for an excellent and quite memorable adventure. 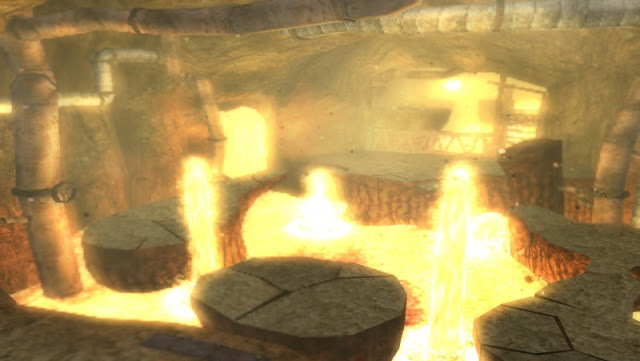 The dungeons are some of the best within the 3D Zelda games, with favorites of mine being the Goron Mines, Arbiter's Grounds, and Snowpeak Mountain. Though the overworld is quite bare and full of empty, unused space, it's a joy to explore and ride horseback through. With the Wii U remaster, many things that troubled fans like myself, such as not being able to keep rupees from chests if you didn't have room in your wallet for them, have been fixed, making for a less arduous and tedious Zelda adventure. A Zelda adventure unlike any other, The Legend of Zelda: Majora's Mask takes place in the mysterious and dark world of Termina, which has a horrible fate thrust upon it. In three days' time, a savage moon will collide into the world, obliterating everything into dust. 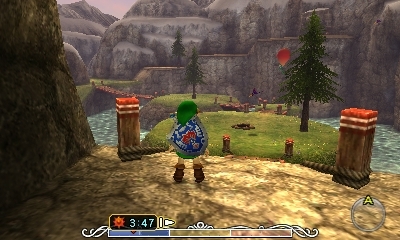 Enter Link, who in this adventure uses his ocarina to transport back into time and beginning the three day cycle again and again. By collecting new items, the need to redo specific actions in the world is lessened, and through collecting masks, new powers are bestowed unto Link, such as being able to transform into a Deku, a Goron, or a Zora. 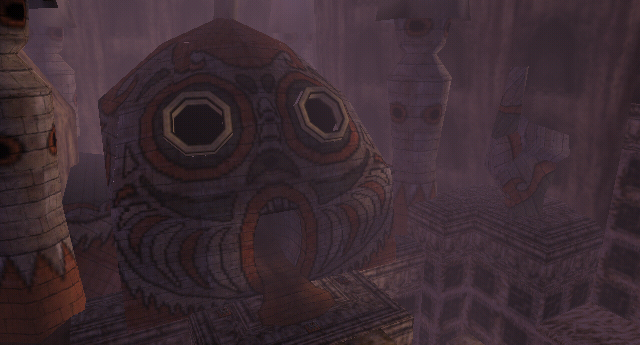 Although there are but four major dungeons in Majora's Mask, they are creatively and cleverly designed. However, the real star of Majora's Mask is the various interactions Link has with the daily lives of the people of Termina. Depending on the hour and the day, each denizen will be living out their own schedules. The 3DS version allows for a Bomber's Notebook to better manage Link's time and note where and when people will be. A unique Zelda, Majora's Mask is a fantastic experience. A duo of related adventures that I'm calling one game, The Legend of Zelda: Oracle of Ages and The Legend of Zelda: Oracle of Seasons was a pair of Game Boy Color games that had Link arrive in two different worlds. Oracle of Ages was much more puzzle-focused and relied on time travel to move from the present to the past and vice versa. Oracle of Seasons relied more combat and had Link changing the seasons to progress through the game's world. Each adventure possessed eight main dungeons each, and these were masterfully made. You could tell the developers at Capcom really researched or knew Zelda well and knew what made the series so beloved. Through multiple digit codes, you could transfer data across either game, so when you beat the second (it didn't matter which you played first and beat second), you'd have a final scenario where you'd take on the true villains behind the evil across both games. 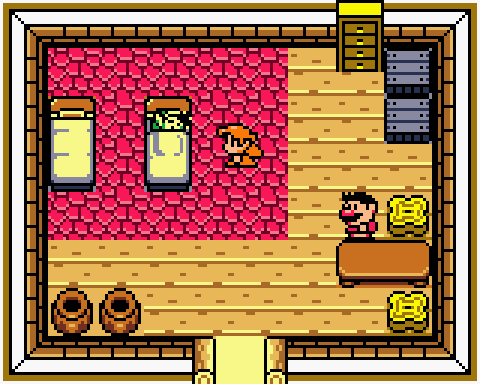 Starting off as a project to see if Zelda could be transported to the Game Boy, The Legend of Zelda: Link's Awakening became a full adventure. Link shipwrecked on Koholint Island, needing to find the eight instruments from eight different dungeons to awaken to Wind Fish. Along the way, Link would need to journey across the island, facing enemies, solving puzzles in the game's well crafted dungeons in both top-down and side-scrolling fashion, and collecting items to aid in his quest. 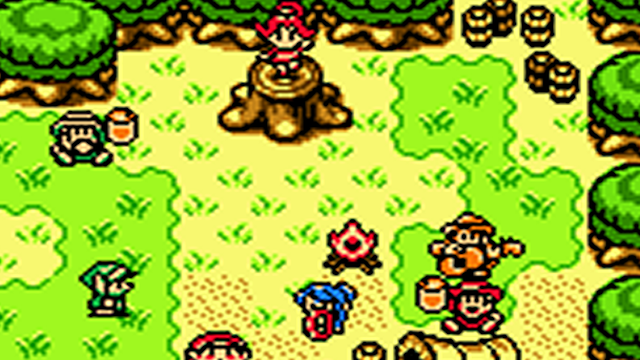 Link's Awakening brought many facets of the preceding Zelda games with it, as well as adding brand-new content like the aforementioned side-scrolling areas to the fold. While Link's first handheld adventure set the bar for his future portable outings, it actually isn't my favorite handheld Zelda game surprisingly enough. A much more recent game usurped it from the top of the list. Yes, this Legend of Zelda game surprised me and bowled me over with its astonishing amount of quality. Giving players much more freedom than had been seen in a long time in a Zelda game, A Link Between Worlds allowed players to choose which dungeons they wanted to tackle and in which order once they reached the game's version of the Dark World, Lorule. The item rental system might not have put a lot on the line (having Link lose all rented items upon death, which wasn't too much fo a danger in the normal mode, but did so in the game's Hero Mode), but it was an interesting take on receiving new items. The wall merging mechanic, where Link enters a 2D phase and moves along walls, opened up the exploration and variety of venturing through the world immensely. A Link Between Worlds gave players an amazing adventure full of crafty dungeons with smartly devised puzzles, fierce enemies, lovely treasure, and behemoths of bosses to defeat. It is without a doubt my favorite top-down handheld Zelda. The Legend of Zelda: A Link to the Past was such an important game to me personally. It bolstered my love for level, world, and dungeon design; it made me want to play it over 20 times now; and it helped shape my love for The Legend of Zelda series in general. Although the original Legend of Zelda (which is notably not on this list) paved the way for games like A Link to the Past, which felt like a much evolved version of what Shigeru Miyamoto's team accomplished with the NES original, this SNES classic simply beat it in every regard. The world was more interesting to explore, the dungeons felt different from one another and much more complicated, the bosses and enemies were fun to defeat, the secrets were myriad and didn't require a guide or walkthrough to uncover for the most part, and the story was more complex, giving some mystique and mythos to the franchise. I play this magnificent Zelda game on a yearly basis, and still I'm finding new things to appreciate about it. While not the most creative pick for a favorite Legend of Zelda game, Ocarina of Time continues to delight me long after its initial release in 1998. The world was full of interesting characters, exquisite sights and breathtaking vistas to behold, astonishing secrets, dangerous foes both enemy and boss, puzzle-filled dungeons with some of the best design in the series, and so much more. I was in middle school when this game came out, and I was immensely engrossed in this incarnation's land of Hyrule. The moment where Link turns from a boy to a full fledged man, stepping out from the Temple of Time to see a destroyed and demented version of Hyrule was a moment that sticks with me. 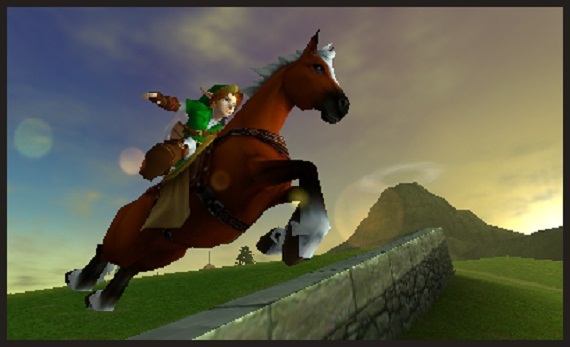 Or how about jumping over Lon Lon Ranch's fence with Link's new trusty companion Epona? The memories of these moments still run through my mind. The 3DS remake not only improved the visuals and frame-rate, but made item choosing a much more streamlined process, making Water Temple memories of pausing the game, equipping and then unequipping the Iron Boots, and then unpausing the game a thing of the past. The Legend of Zelda: Ocarina of Time is still one of the most impressive Zelda games of all time, and one of the most important games of all time as well. This posted trailer of Hyrule Warriors Legends begins SuperPhillip Central's weekend of The Legend of Zelda. Coming later tonight will be a top ten list featuring my favorite Zelda games of all time. Then, later this weekend, I will be posting my review of The Legend of Zelda: Twilight Princess HD. In the meantime, check out this action-packed character trailer for Hyrule Warriors Legends, a game that launches in the Americas next Friday. Pokken Tournament and its menagerie of Pokemon fighters release on Wii U today. Do battle locally or online with over 15 different Pokemon fighters, each feeling different from one another. SuperPhillip Central will have a review by the end of the month, so stay tuned, SPC faithful! After the Sochi Olympics skipped the Nintendo 3DS, the Mario & Sonic Olympic series is back on the Nintendo 3DS for Rio 2016's summer games. Watch this overview trailer of the game, which releases today. The Wii U version, the one I'm most excited for, launches in June. Fifteen installments? It seems like only yesterday I was waxing poetic on my favorite boss battles. Now it's this long-running series of popular articles on SuperPhillip Central. Well, no point reminiscing, as we have five more awesome boss battles to cover with part fifteen of the Best Boss Battles in Gaming History. This time we're delving totally into final boss encounters! These are memorable, fun, clever, and sometimes completely fresh takes on the boss formula. After you've looked at the five entries this time around, I'd love to hear which boss battles you've enjoyed most! Since there are possible spoilers to be found, the rest of this article will be posted after the break! Before that, check out all past parts of Best Boss Battles in Gaming History with these links! Fresh of the heels of my look at my favorite Mega Man game turned iOS title with my review on Mega Man X, I set SuperPhillip Central's sights on the recently released Mega Man Legacy Collection. Is this compendium of the Blue Bomber's worthy of his legacy? Find out with my review. The original six Mega Man games are no strangers to the porting and collection treatment. The original games released on the NES/Famicom. Then, we saw Complete Works versions on the PlayStation, which eliminated things like sprite flickering and slowdown that the original NES versions contained. These six re-releases also added an updated soundtrack for most of the titles, remixing many of the themes from the games. Then, came the Mega Man Anniversary Collection for all sixth generation consoles, including the PlayStation 2, GameCube, and Xbox. From there, we've seen all six NES Mega Man games hit Nintendo's Virtual Console service on three platforms: the Wii, the Wii U, and the 3DS. Now, these Mega Man games are seeing a re-release once again, and on this occasion it's at a time where fans like myself are eager for anything Mega Man since the franchise is very much on a hiatus at this time. 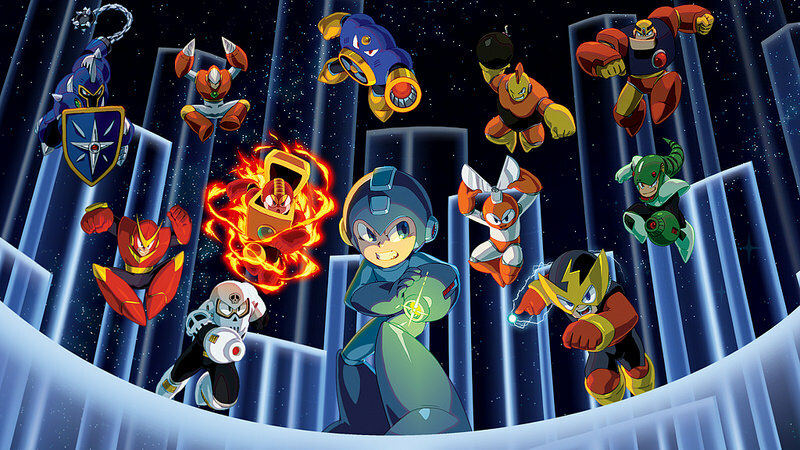 The end result is Capcom and Digital Eclipse's Mega Man Legacy Collection. 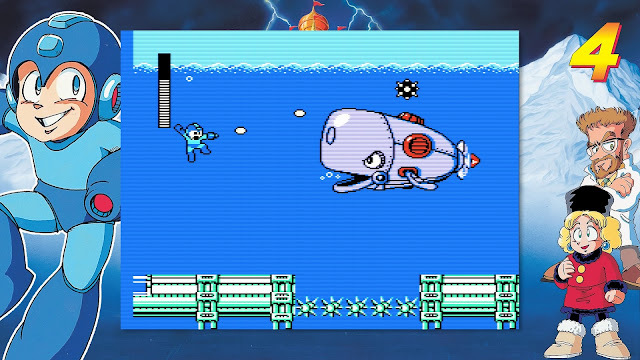 See the beginnings of the Mega Man series with the original game. For those not in the know on Mega Man, the classic series has you going through an assortment of stages where you choose which of the eight (or in the first Mega Man game's situation, six) Robot Master stages you'd like to tackle in any order. In each level you run, jump, and shoot your way through the horizontal and vertical scrolling levels filled with enemies, death traps, and obstacles. At the end of each Robot Master level, you face a boss. Defeating that boss rewards you with that Robot Master's weapon. Not only does this weapon work well in defeating another Robot Master (which one it is is for you to figure out), but it also works great on certain enemies as well. Or just jump into whatever Mega Man game you want to! The original Mega Man introduced the nonlinear level structure, as well as a one-time for the series point system. Mega Man 2 gave us the standard eight Robot Master formula the series would use for each succeeding game, as well as deliver health-restoring E tanks, and helpful parts. Mega Man 3 brought Rush, the introduction of Mega Man's brother, Proto Man, and the slide ability in the fray. Following up on Mega Man 3, Mega Man 4 brought to the table the helper robot Eddie, as well as a new charge shot for Mega Man's Mega Buster. Finally, Mega Man 5 introduced Beat that could be unlocked through finding all eight letters spelling out MEGAMANV, and Mega Man 6 was the most graphically capable of the Mega Man series. Mega Man 3 introduced the ultra helpful slide move. It works just as well in Mega Man 5, too. 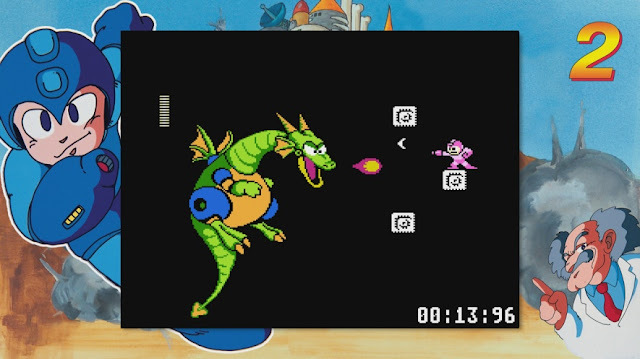 The Mega Man Legacy Collection presents all six of these aforementioned games into one package, and it's as simple as choosing a game from the startup menu and hitting the play button. However, as a collection, each game has a museum that shows all of the characters (mostly enemies) in the game, a short description of each, and what weapon they're weak against, if applicable. There are also a nice portfolio of the game boxes, manuals, packaging, and cartridges for each Mega Man game in each major region: NTSC, PAL, and JP. Playing the classic Mega Man titles in Mega Man Legacy Collection feels good enough. If you're looking for improved features like a solid frame-rate or a lack of sprite flickering, you best avoid this package and look into the PS1 re-releases. Instead, the Mega Man Legacy Collection brings you the emulated versions of all six NES games with no major alterations. 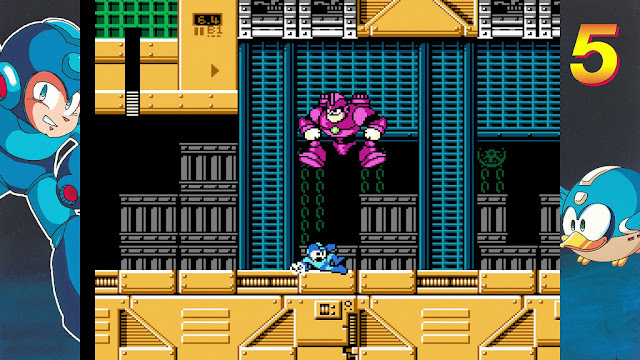 Though confusingly enough, Mega Man 5 is at a much lower frame-rate and features some issues that aren't present in the original release. The majorly confusing part is that switching over to the Japanese version of the game, Rockman 5, makes it so the game runs as it should. Other than that, the games are without much to gripe about. You can turn on and off the border that each game comes with. These generally show one character from the Mega Man game you're playing on either side of the game screen. Additionally, the ability to save and load your game data at any point, much like an emulator is also included, making so you can play each game with as much or as little help from restore points as you'd like. Don't worry; I won't tell. Outside of just playing the six classic Mega Man games, Digital Eclipse has included a set of over 50 challenges that have you trying to complete boss rushes, runs through remixed levels, runs through multiple level portions, and much more in a specific amount of time. You can save and watch your replays, as you try to get a gold medal on each challenge. Just playing these challenges and completing them will add some longevity to the collection, so going for the gold adds even more, and this is certainly welcomed. Unfortunately, you have to play early challenges to unlock later challenges, so you can't just jump to any challenge you like. You gotta work for it. How fast can you beat this Mecha Dragon? 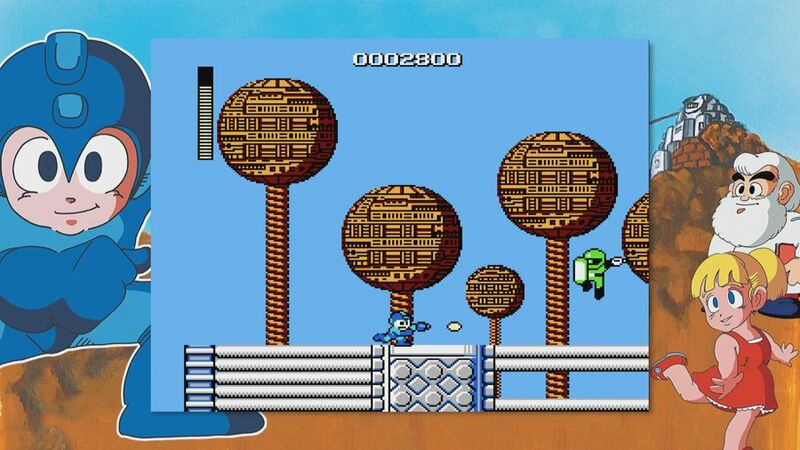 Mega Man Legacy Collection isn't a perfect compilation of all things classic NES Mega Man, but it also isn't a poor compilation either. The games play as my aging mind remembers-- glitches, sprite flickering, slowdown, and all. For a compendium of some of the best 2D action platformers around on the go, Mega Man Legacy Collection for the Nintendo 3DS is a highly capable course for fans of the Blue Bomber and new players to gobble up. Welcome to a new week of posts at SuperPhillip Central. I caught a massive head cold midweek last week, but I'm feeling well enough to resume posts once again. At least during this period of my sickness my hands aren't constantly touching snot-stained tissues. ...With that lovely picture in your head, let's focus on SuperPhillip Central's Favorite VGMs! Here, I try to bring to my readers five great video game songs a week. This week, we start off by partying like it's 1999 with Mario Party 2. 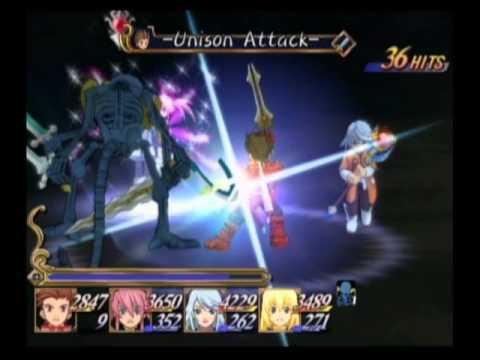 We then go serious for a moment with a boss battle theme from Tales of Symphonia. Following that is a return to something sillier with Super Monkey Ball 2. Bringing us back home on this edition of SuperPhillip Central's Favorite VGMs is a duo of Hitoshi Sakimoto composed themes, one from Valkyria Chronicles II and one from Final Fantasy Tactics, taking us to our 1,100 VGM volume. If you're yearning for even more VGM goodness, check out the VGM Database! Mario Party 2 took on an amusement park/costume party theme with each of the game's six boards taking place in a different themed area with the party participants wearing different themed costumes. 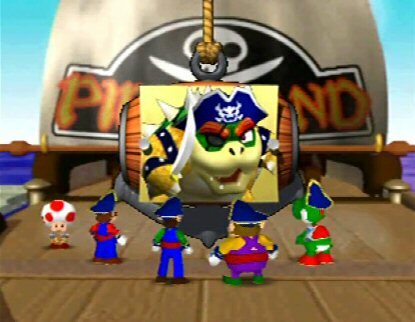 Pirate Land is the first board of Mario Party 2, set across three main isles separated by bridges. Fatalize is the type of theme that gets you pumped and primed for battle. When you hear this boss theme for Tales of Symphonia, you know it's time to get serious-- that is, if you weren't already. Whether it's against big beasts or ancient evil, draw your weapons and get ready for a fight! Super Monkey Ball 2 introduced plenty of new things to the familiarity of rolling a monkey ball through obstacle-laden courses. The biggest addition was a story mode that might not have been needed, but it wasn't anywhere near as egregious as making a whole game with a story like we later saw with Super Monkey Ball Adventure. 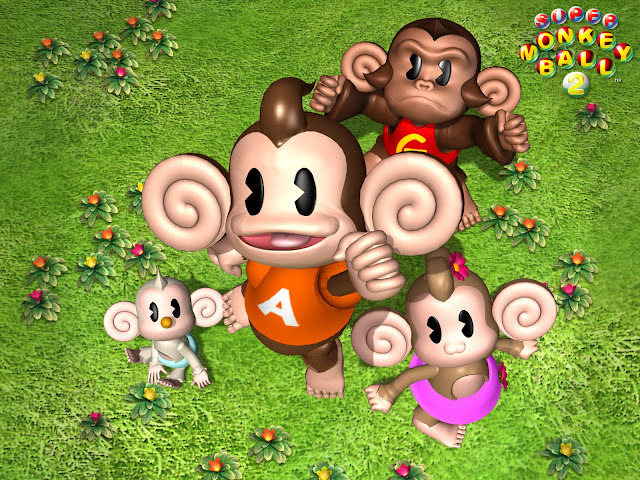 Super Monkey Ball 2's music kept an uptempo feel, perfect for carefully tilting each course to guide Aiai and friends (hopefully) safely to the goal. Valkyria Chronicles as a series had an interesting release pattern to it. 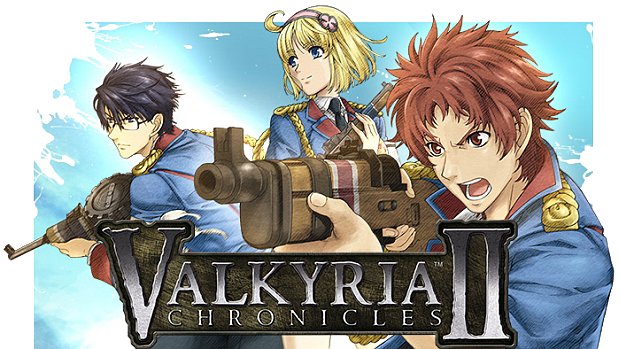 While the first Valkyria Chronicles released on the PlayStation 3, its sequels would release on the PlayStation Portable. The third game wouldn't even get localized. Now, the original game is seeing a remastered version on the PS4. Regardless, though the graphics took a hit on the PSP, Valkyria Chronicles' arrival on the system didn't allow its soundtrack to be held back. No, Hitoshi Sakimoto's wonderfully composed tunes shined brightly with this portable sequel. 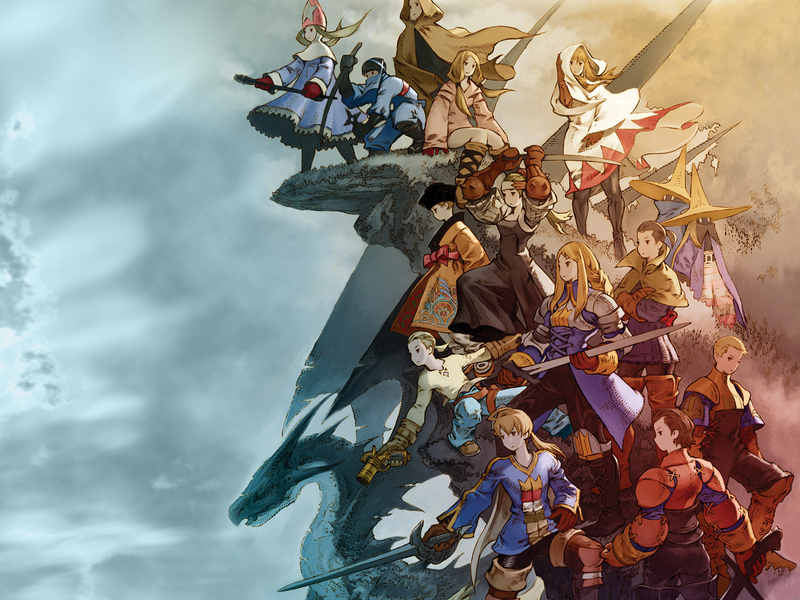 Another song by the fantastic Hitoshi Sakimoto, this time from what I consider my favorite video game soundtrack ever composed, Final Fantasy Tactics. I continue to replay this game when I get the chance with any excuse. Of course, new games always take priority, as I have to keep up to date on what's out on the market. Still, it doesn't mean I can't listen to the great music from FFT while writing reviews for said new games!